Posted 10 July 2013 under Ask Us. 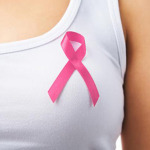 A breast lump can be concerning, but most breast lumps that teens have are not caused by cancer but rather from normal changes that happen during development. If you find a lump, it could be from hormonal changes, an injury, a breast cyst filled with fluid from a blocked mammary gland (milk-producing gland), an infection, or a benign (not cancerous) tumor called a fibroadenoma. If the lump is sore or the skin over it is red, you may have an infection and you should contact your health care provider right away. If your breast just feels lumpy, check it again three to four days after your next period, since your breasts may feel different or lumpy to the touch around the time of your period. If the lump doesn’t disappear after you finish your period, see your health care provider. Your HCP may order an ultrasound of your breast to figure out what kind of lump you have. If you have a fibroadenoma, your HCP will discuss whether it can just be examined regularly and watched without any special treatment, or if you need surgery to remove it. It’s important for you to tell your HCP if you have a family history (your mom, aunt, sister or other close relative) has been diagnosed with breast cancer or if you have had radiation treatments for other cancers when you were younger.